To make an investment in a currency it is important to remember that one must consider convertibility. There are three classifications of currencies. They are fully convertible, partially convertible, and nonconvertible. Fully Convertible exists when there are no restrictions or limitations on the currency. A trader would be able to purchase and sell any amount of the currency on the international market. The government of the respective country does not impose a fixed value or minimum value of the currency in the conduct of world trade. The US Dollar, Euro, and British pound are in this category. Partially Convertible is when there is government intervention in the currency. This is achieved through regulation and manipulation of the Central Bank in the flow of money in and out of the country. This is for international investments and movement of currency only. Most of the domestic transactions are handled without any interference or special requirements. There are significant restrictions on international investing and special approval can be required in making conversions into other currencies. The Indian Rupee is an example of such a currency. Nonconvertible occurs when the country does not permit its currency to be converted by individuals or companies. The country does not participate in the international FOREX market. These currencies are known as blocked currencies. Examples of this type of currency is the Cuban peso and the North Korean won. There are also alternative currencies. These types of currency are distinct in that they are not from a centrally controlled government issued by a particular country. Alternative currencies such as Bitcoin, as well as branded currencies, ones involved with corporations are in existence as well. 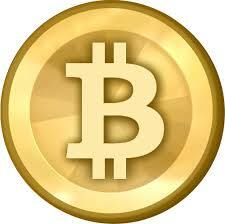 Branded currencies are those associated with credit cards, loyalty points, barter cards and game credits. Currency may be digital and internet based such as Bitcoin that are not tied to any particular country or can be designated by an international organization like the International Monetary Funds (IMF) through Special Drawing Rights (SDR) which is based on a basket of currencies and assets held. Currency use is based on the concept of lex monetae. This construct means that an individual country will determine which currency it will use. To assist with investment and convertibility in international trade there is an International Organization for Standardization. This board has introduced a three letter system code to define currencies. 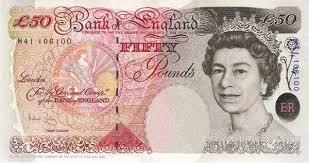 This is done to avoid confusion since more than one country uses the terms pounds, francs, pesos, dollars etc. In general, the three letter code is based on the country code for the first two letters, and then the first letter of the name of the currency. So for the United States the code would be USD for example. Your next step is to identify which currency you wish to invest in. You will need to make a determination whether the currency will appreciate meaning it will increase in value. You are engaging in what is called in trading language going long. If you on the other hand feel the currency will depreciate meaning it will go down in value, this is known as shorting. Investing in the currencies of other countries makes you a speculator in that you are waiting for the value of that particular currency to either increase or decrease in value. Misfortunes and economic disturbances of individual countries or regions of the world will provide opportunities for the investor in a variety of industries as well as commodities and the currencies themselves. One only has to wait for the next occurrence because a scenario for profit will always present itself sooner or later. The financial panic of 1997 in Asia was an example of this. The situation in Asia had followed a similar occasion in the Mexican financial and currency crisis of 1994 and 1995. There had been an earlier disturbance in several European countries in 1992 and 1993. As always the crisis was marked by widespread economic suffering somewhat linked to speculators some of which are always able to amass fortunes in a relatively short period of time at the expense of the host country’s currency. Unfortunately, it can be said that currency speculators not only play a role in sparking or exacerbating economic crises but they may also prevent possible solutions at times. But it is also true that an investment in a currency of a particular country is a business decision like any other. Some currency speculation is necessary in order to facilitate international trade. An example of this is in order to buy oil on the international market one will need to purchase American dollars (USD) in order to complete the transaction since all such purchases are done in this manner. The reason being that the United States dollar is the international world reserve currency for oil. It is a tremendous advantage the Americans have and are in jeopardy of losing but that is another story. (See The Decline of the United States Dollar and The Collapse of the American Dollar). Another transaction where currency speculation is needed is in foreign direct investment (FDI). If one wishes to purchase a facility or build one in a foreign country it will be necessary to make an exchange into the pertinent currency to complete the process. If you are considering an investment in the currency of another country you will need to concern yourself with up to date information. Reports from that country involving inflation, unemployment, productivity will impact the value of your original stake. You will need to learn how the economic variables of a country will impact the value of the currency you are invested in. You must also be alert to government initiatives in relation to the economy as well. 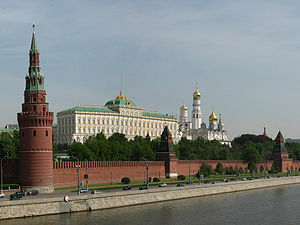 The timeliness of this article is based on the economic situation in Russia today. The decision by the Russian government to involve itself in Crimea and the Ukraine at large has caused a major decline in both the stock market of the country and the Russian ruble. The ruble was made convertible in 2006 so one can make an investment. In the the beginning of 2013 the value of the Russian ruble in relation to the dollar was 3.30 cents in USD. It has now sunk to .028 in the past month. This is a 15% decline. Half of the decline was due to the latest situation in Ukraine but there are other factors at work here. Before there were even troop movements investors were worried somewhat. The currency’s decline is also part of the Russian policy to reduce inflation and make domestic manufacturers more competitive. Russia has a huge import bill because many of its domestic industries are not competitive in world markets. In 2010, the Russian Central Bank had already announced it was going to lessen its role in setting the value of the ruble in the international market. The idea was a gradual slide in value to make Russian goods more competitive. The Central Bank in Russia has become alarmed at how rapidly the ruble is declining so in response the decision was made to temporarily hike the interest rates in Russia from 5.5% to 7% on March 03, 2014. The policy has not turned the tide as of yet. The ruble dropped 1.8% this week alone against the (USD) a record low and experienced an equal decline against the Euro. The Russian Central Bank has reportedly spent 10 billion (USD) already to try to increase the value of the ruble but the world market will continue to exert a downward pressure on the ruble as long as the crisis simmers in the Ukraine. An investor must guard against putting too much emphasis on a steep decline. Most of the recent decline is being driven by news events and not economics. As long as Russia is able to continue the export and sale of oil and gas (5 million barrels daily) there will be some price support for the rubble. The Russian stock market has mirrored the decline in the ruble. It plunged 11% on Monday alone. It is down 14% since the beginning of the year. One can look at a historical comparison to the Russian financial crisis of 2008-09 when a trillion dollars were wiped away in the Russian stock market. But remember oil was decreasing in value as well at the time from the range of $150 dollars a barrel to $40 dollars a barrel in about 6 months. 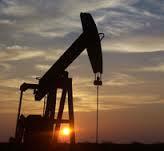 Oil and natural gas as explained before is Russia’s most important and valued export. This is not the case today. Oil is holding around $110 a barrel in Europe and actually increased 2% on Monday. The price for Russian oil has held steady at about $108 a barrel for the last 3 years. However, a major move by other oil producers to flood the world market with cheaper oil as suggested by some in the United States as a way to slow down Russian military involvement in other countries would put new pressure on the ruble. It is also important to know that Russian debt is also better leveraged than it was in 2008 especially at the corporate level. As a side note there will be a movement by the oligarchs of Russia to the government to defend the ruble so the value of their mass holdings will not go down too much in value. 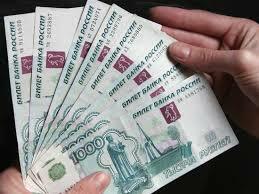 Given the moves of the Russian leader Putin as of late the continuing drop in value of the ruble may be unavoidable. It must be emphasized that a great deal of money can be made by an investor in currency speculation. One of the most famous examples was that of George Soros and his move against the British pound. The British at the time were desperately trying to maintain the value of their currency in relation to the German mark. They wished to keep it above 2.7 marks. The problem was that Germany had a much stronger economy. Attempts to keep this standard left Britain with high interest rates and equally high inflation. Soros figured the British would not be able to continue this indefinitely so he increased his leverage against the value of the pound. He borrowed heavily to achieve this objective. Britain raised interest rates to double digits trying to attract foreign investors. The British government was attempting to alleviate the selling pressure by creating more buying impetus. High interest rates are costly and in the end the British government decided it could not afford to lose billions of dollars trying to maintain the value of the pound. It was forced to withdraw from the European Exchange Rate Mechanism (ERM) in 1992 and the value of the pound plummeted against the German mark. Soros made at least 1 billion on this single trade. The devaluation of the pound in the end actually helped Britain by wringing out the excess interest and inflation in the British economy making it a good environment once more for new business investment. To make an investment in a currency of your choice you will need to open a FOREX account. Make sure you understand how the account will operate as well as the risks involved. This will include leverage and the fees involved as well as how best to hedge your bets so you can actually make money.